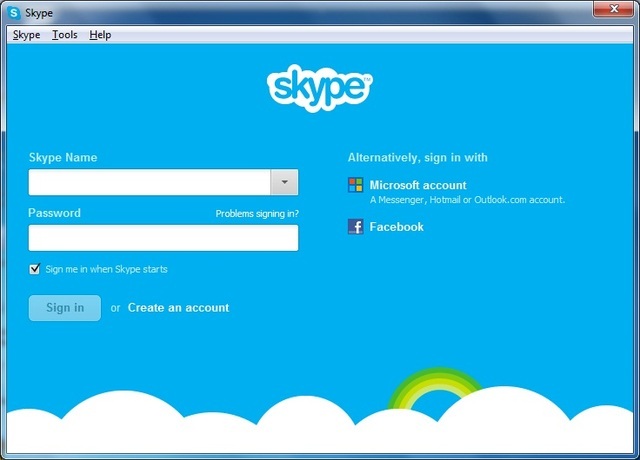 "The world’s favorite video and voice call app"
Skype allows you to make free calls to other users anywhere in the world, voice or video. 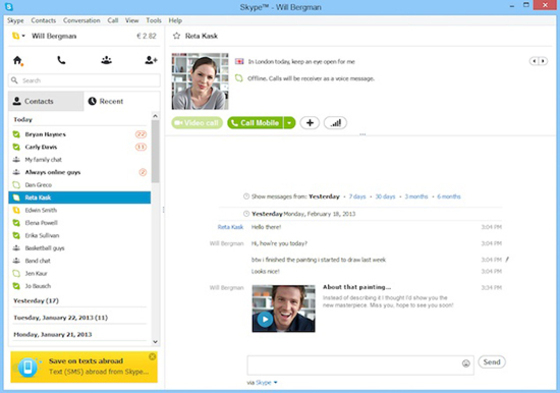 Aside from making calls, this program is also a great chat/instant messaging service that lets you connect with other Skype users in your contacts list, sending messages, images, and emoticons. You can turn on the webcam and microphone to turn your chat into a voice or video call anytime you want. But Skype’s abilities don’t end there. You can also place calls to any phone in the world, including landlines and mobile phones, even if the other person doesn’t use Skype. This service is not free and you’ll need to have a balance in order to place these types of calls, just like you would with a telephone company. 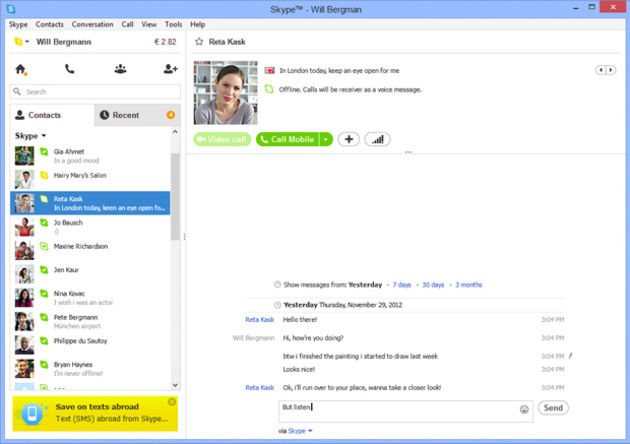 Generally speaking, Skype’s rates are lower for long-distance and international calls than any phone company. 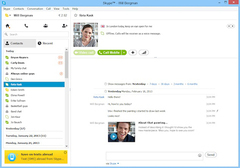 All communication in Skype is free as long as it’s between two Skype users, and even the paid service is a very affordable option if you must communicate with someone who can’t use this program because they don’t have access to the internet, for example. No wonder it’s still one of the strongest communication programs after all these years.